McDonald's say the brand is in a 'deep depression' - Page 3 - Politics, News, and Hypocrisy - Chickensomething What Are You Afraid Of? 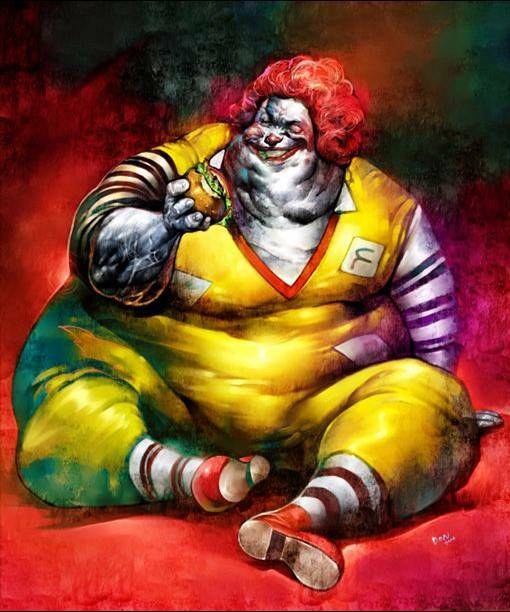 Does McDonald's Need a New Mascot? Whether it's serving french fries or relatively healthy oatmeal, McDonald's can't seem to shake its bad-for-you image. 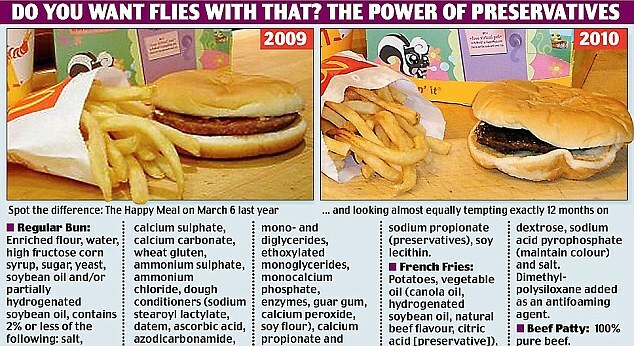 So along with the "fancy" McCafe coffee and fruit smoothies, how can the chain revamp itself to suit today's health-conscious customers? A new mascot??? Sheeeeiiit! Never happen. That F*cking clown is just too easy. Vote For Chicken Something - What are you afraid of? The clown cannot be stopped! Have you heard? Real beef is a major commodity now. The creator of the Big Mac, one of the most popular fast foods in the world, has died aged 98. Jim Delligatti was a McDonald’s franchisee who came up with the idea in 1967 because he said customers wanted a bigger sandwich. His invention was almost rejected by McDonald’s, which was happy that its traditional meals – a hamburger, fries and a milkshake – were selling well. The firm relented, but while it says it has since sold billions of the sandwiches, it admits Delligatti never received a penny in royalties. 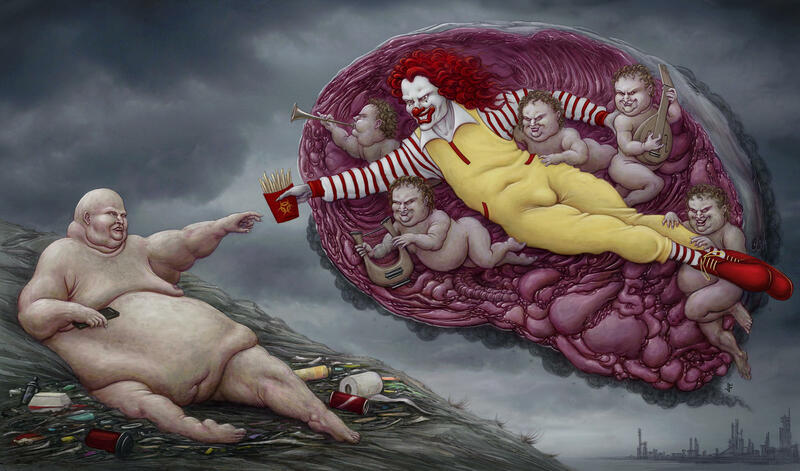 Don't forget about the father of the McNugget! Robert C. Baker was a poultry savant. But his contribution to fast food has been erased from the history books. Baker was a professor of poultry science, and a chicken savant. He and his graduate students dreamed up the first versions of products we now take for granted: chicken hot dogs, chicken cold cuts, chicken meatballs, and more than 50 other edible items made from eggs and chicken but made to look like something else. The foods they invented, which they detailed in widely distributed bulletins for anyone to copy and refine, launched what the industry now calls “further processed” poultry. Convenient and appealing, further-processed products transformed the market for chicken, pushing consumption from 34 pounds per person in 1965 to 84 pounds last year. But pressure from that new demand transformed the industry as well, turning it from a loose confederation of many family farms into a small set of massive conglomerates with questionable labor and environmental records. Thank these great men of inventive renown for keeping us all filled with nutritious vittles. 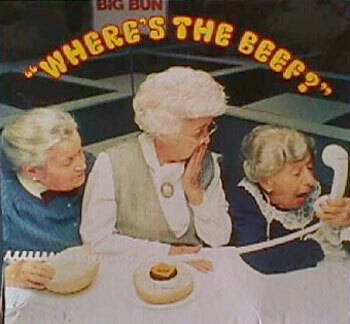 Wendy has been lookin' for the real beef a long time! In order to promote the new "create your own taste" touch screen, McDonalds of New Zealand invited the internet to create a custom burger. Unsurprisingly, things got totally ridiculous and a little inappropriate very quickly. Doesn't McDonalds know you can't trust the internet to treat something like this maturely? Anyway, we're glad New Zealand's finest turned out to make and vote on these bizarre burgers becuase we just can't stop laughing. And wincing a little. Why is China building a New Silk Road?